Using a Blood Sugar Chart provides a clear, visual representation to diagnose the potential presence of diabetes. 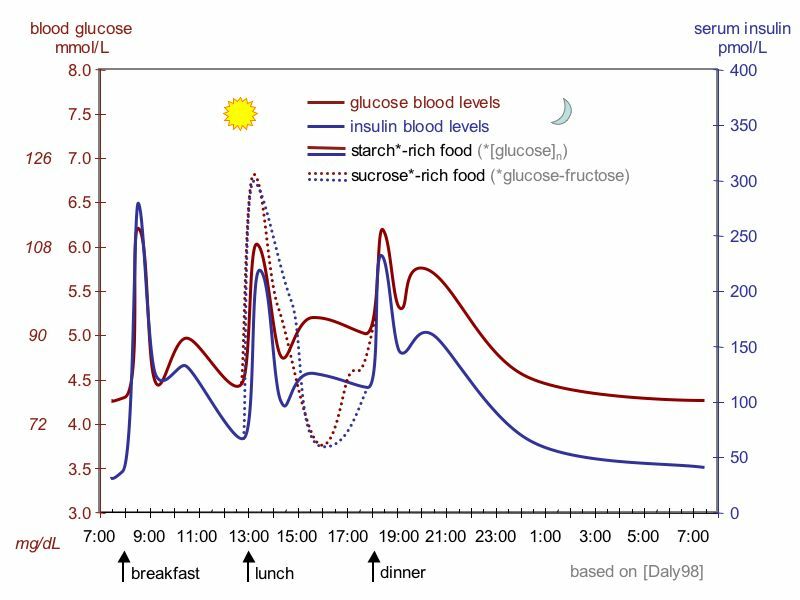 Comparing blood sugar levels is the most common approach, monitoring the levels of blood glucose (or “blood sugar”) before, during, and after a meal. Diagnosing diabetes and the onset of prediabetic conditions is typically done by comparing blood glucose levels before and following a meal. 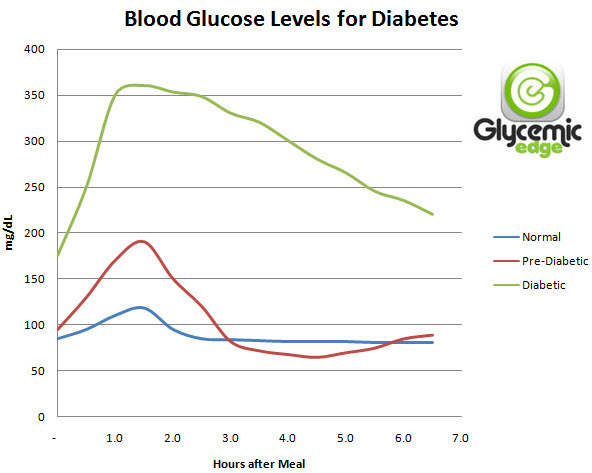 As the chart indicates, the blood glucose level for non diabetics look very similar to those who are Pre-diabetic. Individuals who are pre-diabetic typically have fasting glucose levels (before a meal) that are nearly normal or only slightly elevated (usually < 100mg/dL). After a meal is when their glucose levels rise significantly, as their bodies are unable to balance the production of insulin adequately to deal with the rise in blood sugar. As the peak increases, their system struggles to introduce insulin to deal with the rise — which then results in an overproduction of insulin as your system struggles to cap the rise in glucose. The resulting surge in insulin production then causes blood sugar levels to eventually completely reverse and crash, resulting in hypoglycemia or low blood sugar which can include symptoms such as blurred vision, flushed skin, the shakes, and cravings for sweets. Those who are fully diabetic have a similar reaction, but it can take even longer for blood glucose levels to return to fasting levels — and that level will remain elevated (> 126 mg/dL).